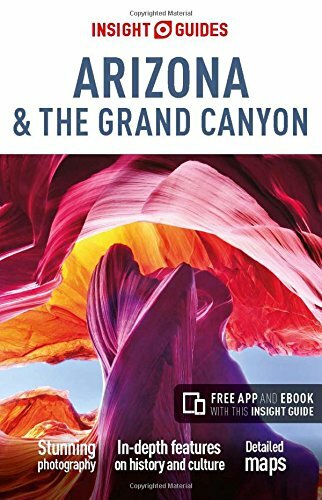 Clickable IMG Publisher: Insight- 4 edition (1 Feb. 2016)Language: EnglishISBN-10: 178005291XISBN-13: 978-1780052915Insight Guides: Inspiring your next adventureThe Southwestern state of Arizona offers spectacular scenery, thrilling adventures and a mix of Native American, Hispanic and Anglo cultures, plus more than 300 days of sunshine a year. 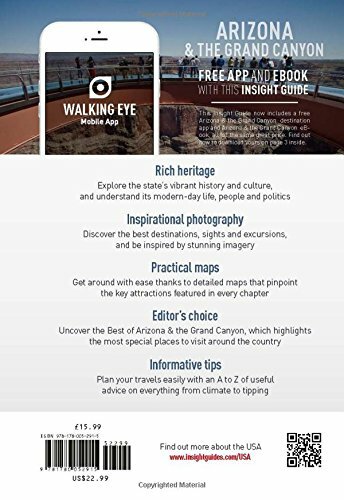 Be inspired to visit by the new edition of Insight Guide Arizona and the Grand Canyon, a comprehensive full-colour guide to this epic region, covering its many national parks and wilderness areas, as well as charming towns like Bisbee and Patagonia and the cities of Phoenix and Tucson.Inside Insight Guide Arizona and the Grand Canyon:· A fully-updated edition by our expert USA author.· Stunning, specially-commissioned new photography that brings this breath-taking region and its people to life.· Highlights of the state's top attractions, from Monument Valley and the Canyon de Chelly to cultural centers and world-class museums, in our Best of Arizona.· Descriptive region-by-region accounts cover the whole state, from the canyons of the north to the deserts and mountains of the south, via the vibrant capital Phoenix.· Detailed, high-quality maps throughout will help you get around and travel tips give you all the essential information for planning a memorable trip, including our independent selection of the best restaurants.About Insight Guides:Insight Guides has over 40 years' experience of publishing high-quality, visual travel guides. We produce around 400 full-color print guide books and maps as well as picture-packed eBooks to meet different travellers' needs. Insight Guides' unique combination of beautiful travel photography and focus on history and culture together create a unique visual reference and planning tool to inspire your next adventure.